Today’s review of some gripping historical fiction comes to us from Natasha Claire Orme. 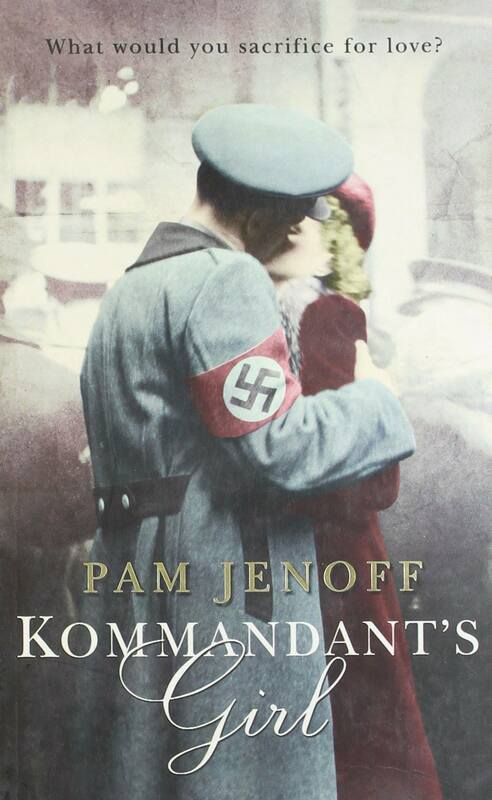 The book she has chosen is The Kommandant’s Girl by Pam Jenoff. I settled myself down over the weekend and decided to read The Kommandant’s Girl. It had been recommended to me by a friend, and because I had nothing else to do, I thought it would be a good idea. It’s not my usual kettle of fish. In fact, recently I’d gotten myself in a bit of a rut. So I started out a little sceptical, but perhaps thought it was time to change my ways. A page or two in, I wasn’t really feeling it and I was finding it hard to focus on the story. Hours later, though, I closed the book and put it down, finished. I think this was one of the very first times I had sat and read a whole book in one sitting. And do you know what happened the next day? I went and found the sequel, sat down, and read that in one sitting, too. The Kommandant’s Girl is the spellbinding story of Emma Bau, a Jewish girl in the Polish city Krakow during the Second World War. Forced to live in the Jewish Ghetto outside the city, Emma is eventually smuggled out by the Resistance to live with her absent husband’s cousin, Krysia. Under the pretence of caring for an orphaned Jewish boy, Emma, now Anna Lipowski, is given an offer she can’t refuse. She becomes the personal assistant to the Kommandant, the most powerful man in the city, and finds herself facing conflicting emotions. This book is truly outstanding. Jenoff has a natural gift for storytelling and conveying human emotion. I loved Emma and how real she felt to me. The book, told through her eyes in the present tense, feels very real. The relationship that blossoms between Emma and the Kommandant is one of heartache. Jenoff attacks the traditional issues of the holocaust and is even able to avoid the clichés associated with this period of history. She takes a hard look at the prejudices and injustices of the holocaust as well as the suffering and the helplessness. But these aren’t at the forefront of the story; instead they float around in the subplot and contribute to the overall atmosphere. The conflict and tension apparent throughout the novel is one of its main driving forces and will have you, as a reader, sitting on the edge of your seat. Each new chapter, each new page brings with it more chaos, more problems, and a greater amount of heartache as things go from bad to worse in Emma’s struggle to survive. I was completely captivated by Jenoff’s style of storytelling and her detailed descriptions, an attribute to her experience as a historian. I loved the sense of adventure that she creates and the romance. For me, it was this forbidden romance that had the biggest impact. I loved the tenderness and the gentleness of the characters, particularly the Kommandant. He gave the impression of this dark and mysterious man who was worthy of admiration as well as fear. The dynamic between the couple felt electric and had me reading each page more quickly than the last. Natasha Claire Orme is a German-born Brit with a love for the unusual and a thirst for culture. She loves to explore in her writing and experiment with different styles. Her blog is full of insightful writing trips, food for thought, and encouraging tidbits from the best and brightest. She focuses her efforts on helping others better their writing and unlocking the mysteries of a novelist. She loves what she does and can’t stop writing. Her adventures and romances are what keep the day going! She’s a book addict and a petrol head. To see more kinds of reviews like the ones in this series, check out these blogs by Melanie Page and Lynn Kanter. And of course go to the Sappho’s Torque Books page here to see other reviews by me and by other contributors to the Women Writers Wednesday series. The Women Writers Wednesday series seeks to highlight the contributions of women in literature by featuring excellent literature written by women authors via reviews/responses written by other women authors. If you’d like to be a contributor, wonderful! Leave a comment below or send me an email, tweet, or Facebook message with your idea.